Blue Heart Earrings. 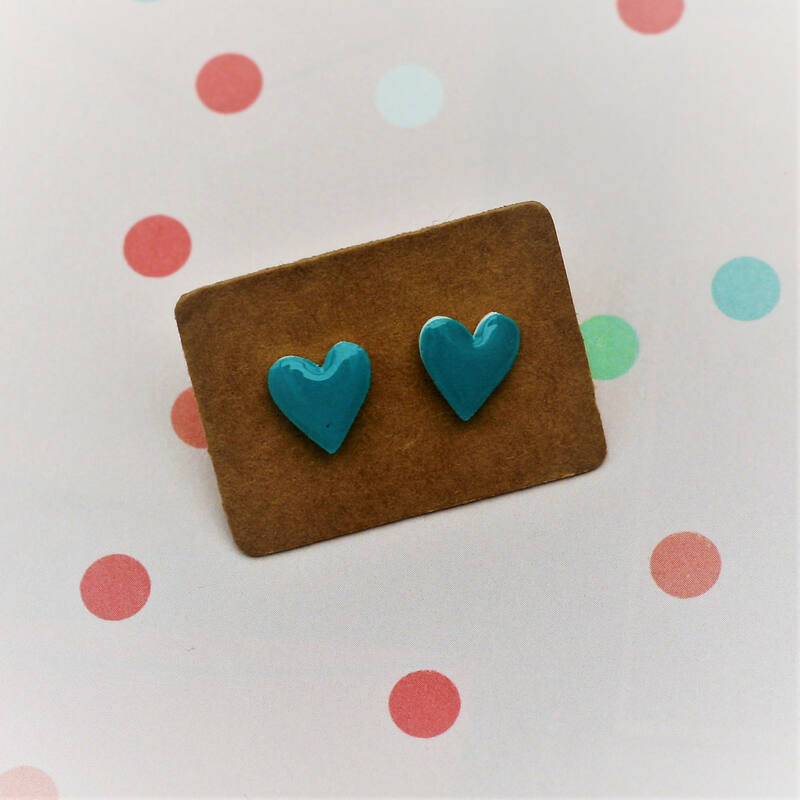 These earrings have been made by adding little resin hearts to silver plated studs. • These earrings very lightweight to wear and would suit any heart loving individual. Lovely colour, nice little earrings. Lovely earrings, they arrived quickly and I am very happy!